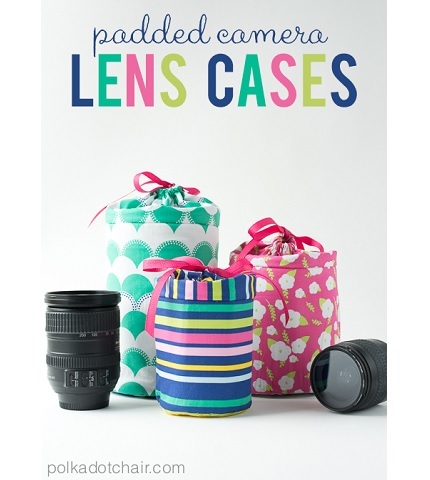 Melissa from Polka Dot Chair shows how you can make padded cases to hold your extra camera lenses. They have padding on the sides and the bottom, and a drawstring top to keep dust out. They’re a lot less expensive to make than buying the ones from the camera store, plus they look a lot prettier. She gives dimensions to make a small, medium, and large camera lens pouch. Get the tutorial at Polka Dot Chair.